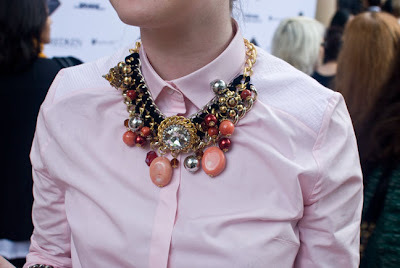 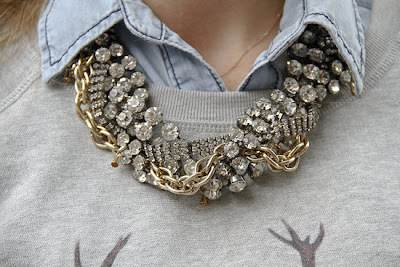 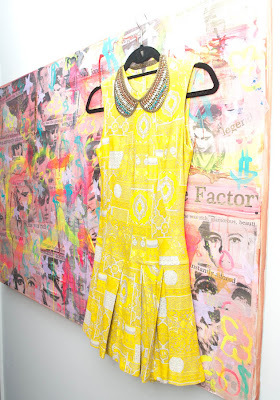 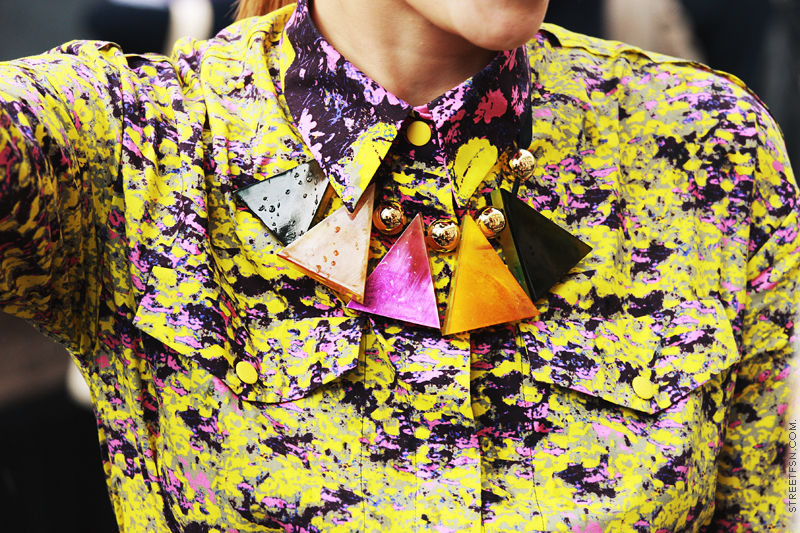 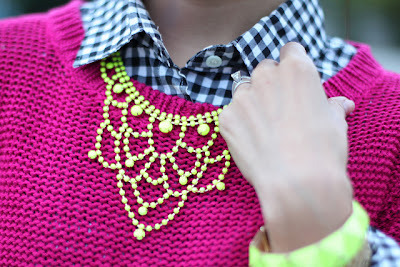 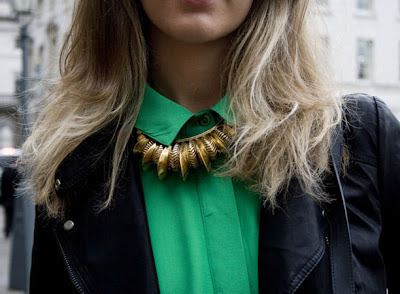 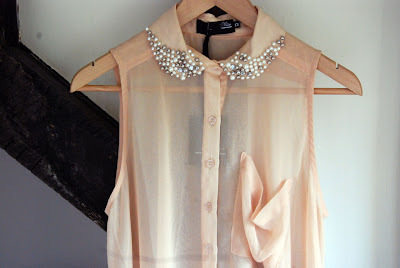 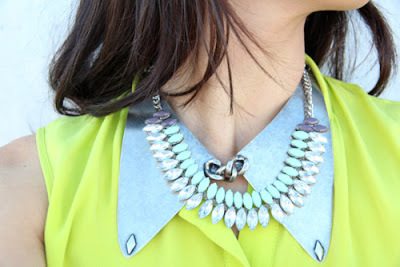 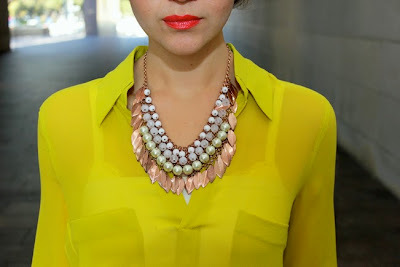 The jewelled collar is some serious eye candy! 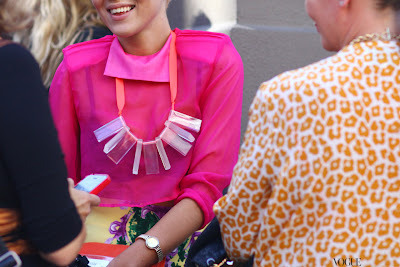 Don't be afraid to layer an accessory over a tailored shirt for a versatile look that will see you from day to evening. Mix large crystals or diamond petals, it's so glam and will transform an outfit instantly!